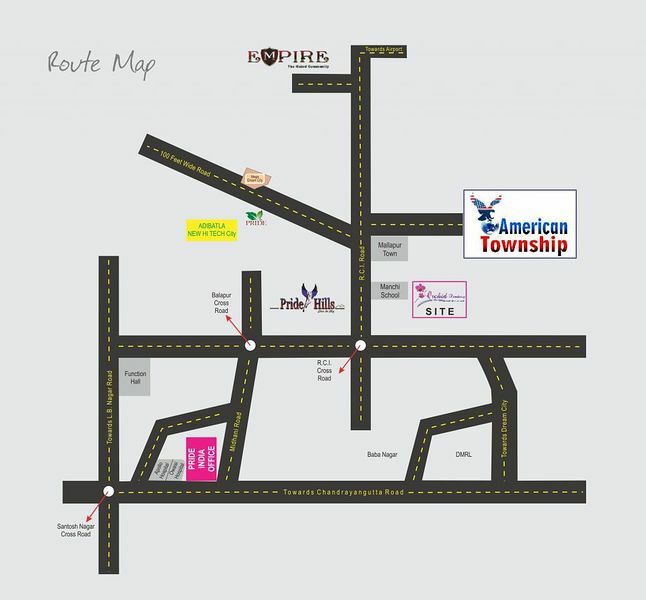 How Far is American Township? Newly Launched American Township is a wonderfully conceived and executed settlement spread over an 80 acre tract of land at Santoshnagar. It’s a new way of life that brings you the best of both worlds. all the security, safety and sense of community that you would expect from a conventional housing project, and the exquisite trappings of a post modern westernized lifestyle. The plot sizes range from 150 sq. yds. to 334 sq. yds. to ensure maximum privacy and greenery around each abode. There’s ample space to have your own garden, your own parking. Designs for a range of 2, 3 and 6 bedroom homes are available, which can be executed by us at the prevailing rate for construction.